This year marks Katy’s second year at North Star Montessori and her second year in Canada. An avid traveler and explorer, Katy easily adjusted to life in Canada and quickly became a key member of the North Star team. Katy is the Upper Elementary teacher in the Oak Room. This summer, we spent a number of weeks traveling through Europe. 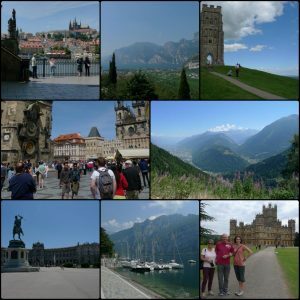 Our journey began in England and during the three weeks of traveling we visited Belgium, Germany, Czech Republic, Austria, Italy, Switzerland and France. We stopped in amazing cities, camped in the most picturesque sites and caught up with family and friends along the way. After such a busy holiday, we were happy to arrive back in Vancouver to relax and get back out into the mountains!